On the road of Pasadena, everyday drivers do experience car lockout, emergency towing, car battery outage and other similar problems. To serve the drivers of Pasadena, there is a roadside legendary service entitled and certified as Supreme Towing Pasadena. 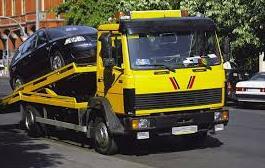 Supreme Towing Pasadena offers 24×7 fast services to the drivers for their need in an emergency at Pasadena. It is one stop service for all the drivers in Pasadena. The service includes fast response on emergency calls, car towing, emergency car towing, car lockout services, and roadside assistance (tire change, dead battery jump start, car lockout consultancy, gas filling aid, recovery from off road). To keep in mind the emergency situation and help the stressed driver, the Supreme Towing Pasadena is available to the location within 30 minutes after the call at (832) 384-7185. The service is entitled as “24/7 dispatch service”. This service is like taking over the car like a baby. The service has the latest technology to tow the car with their Horizontal Towing methodology and flatbed towing methodology. The drivers know that without the hooks and chains, the car is safer and mechanically remains great. The roadside assistance of Supreme Towing Pasadena has complete resources to run instantly to the caller to co-operate with the drivers, and even provide consultancy to the on the road drivers. “Response faster” – is the key ambition of Supreme Towing Pasadena. The professionals of Supreme Towing Pasadena are very passionate and dedicated themselves to serve the drivers in Pasadena with the technology, tools, Pasadena driving laws, and most importantly with priority.